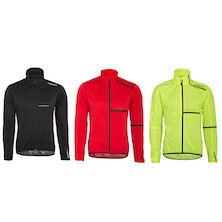 Who Else Can Match Our Quality and Pricing On Technical Cycling Outerwear? If you're a regular Planet X customer then you already know the answer to that question. If you're not part of the family already then maybe we can tempt you to join the fold with our new Planet X 365 Autumn Winter clothing range. Whether you're new to cycling, a racer, a roadie, a mud lover or even a committed commuter you'll find something to whet your appetite in the new Autumn Winter 2016 line-up. The race is on to keep you warm and dry as you push yourself to the limit and that’s why we’ve created the Magma Convertible Jacket. 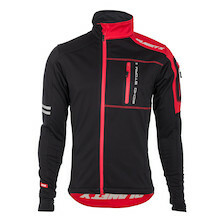 Built from windproof softshell fabric and cut with an athletic race fit the Magma is designed for riders who want the warmth of a long sleeve race jacket with the ability to covert to a short sleeve jersey in an instant. Chameleon like, weatherproof and packed with technical details the Magma will shield you from the worst of the wind and the rain when the weather is foul but quickly converts into a short sleeved race jersey when the sun comes out. With a 5K breathable and 5K waterproof rating, featuring full length YKK zips, 3 stash pockets, weatherproof rear pocket and retro-reflective detailing the Magma offers the serious cyclist everything they need. 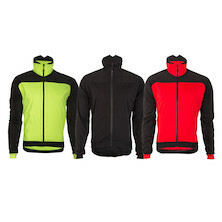 The Reactor+ Jersey is what every cyclist needs. Totally windproof and utterly breathable it's designed to keep you cool and dry while protecting you from a little seasonal drizzle. 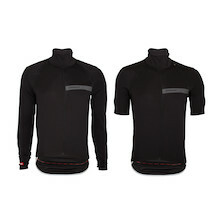 Cut for recreational riding the Reactor feels perfect next to your skin on summer mornings and delivers maximum warmth for colder rides when paired with our 365 Base layers. The Reactor + jersey is made from a blend of strategically placed, windproof softshell fabric and highly breathable Lycra panel. 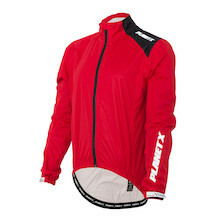 All front facing areas on the Reactor are softshell, to protect you from the chill winds and to keep the drizzle off. The back of the arms and the lower back are made from a high stretch Lycra fabric that provides great breathability for all out efforts, allowing you to stay dry on the long drags up steep climbs. If you believe that the Devil is in the details then you'll love the Reactor+ almost as much as the Magma. Three rear pockets, one with a weatherproof side zip keep your essentials nice and dry while a tall, fleece lined neck helps to keep out the drafts. A Neoprene gripper waistband helps to keep everything in place as you ride and a pair of mesh lined pit zips are there to help you moderate ventilation. The Reactor+ Jersey is a serious bit of cycling kit, versatile and practical it's ideal for all cyclists who prefer a more generously fitting Jersey vs a full-on race fit. If it's too cold for the Reactor+ Jersey then it's time to step up to the Hydrocore Windproof Breathable Jacket. With the addition of a plush fleece lining and improved water resistance on the shoulders and arms the Hydrocore might be all you need to get through the winter on your bike. Totally windproof, highly breathable and able to protect you from the worst of the rain, only our Echostorm 2 Jacket offers more protection from the elements. 3 jackets, one incredible design. It’s not often that everyone in the Planet X office agrees on anything, but we’ve all got our names on the list for one of these jackets. Our new Softshell jackets are the ultimate post-ride clobber, in fact, in the middle of winter, they’re the perfect jackets full stop! Warm, windproof and waterproof there's nothing more welcoming when the weather turns cold. With multiple pockets, zipped pits and a full sized hood that can be worn over a helmet, they’re supremely versatile. Our luxurious Duck's Back protection combines a Teflon surface treatment with a Softshell fabric, PU membrane, and fleece liner to create something truly special. Packed with features that will make them all firm favourites. 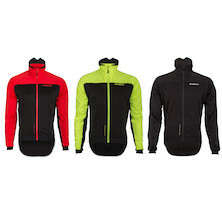 Whether you've been riding or not our Podio, Weaver and Apres Softshell jackets are simply top notch. Don't just save if for bike sessions, though, we've been wearing these out in all conditions and nothing else comes close. They’re our new favourite jackets, a smash hit down the pub and perfect for those never ending weekend dog walks. The Illuminati Jacket is a brilliant idea, literally. Any light that hits the Photonic retro reflective fabric that the jacket is made from is reflected straight back to the source so you will glow in the dark whenever street or car lights shine in your direction. Designed with the commuter and keen cyclist in mind the Illuminati jacket is cut with a comfort fit . Adjustable Velcro wrist tabs provide plenty of space, even for gloved hands. A large back vent and vented front pockets as well as a mesh liner help you to keep cool and stay dry when you're pushing hard on the pedals. As well as lighting up in the dark our Phonotonic fabric is also highly water resistant, only the heaviest downpour will defeat the Illuminati. With a large rear pocket, plush, fleece-lined collar and stylish good looks the Illuminati Jacket is ready to usher in a new age of enlightenment. Buy this if you want to be safe and be seen. The Illuminati Maximus take the brilliant, glow in the dark, Photonic Retro Reflective fabric from our entry level Illuminati Jacket and maximises it with a new laser perforated outer shell and breathable membrane liner combines to give remarkable breathability for a retro-reflective waterproof. With zip vented side panels and a large back panel vent the Illuminati Maximus delivers on visibility and breathability. Buy this if you want to ensure that you’ll be seen on the road. 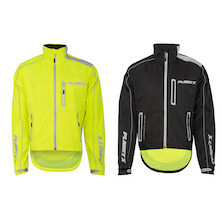 The Lumen8 Hi Viz Commuter Jacket perfectly blends the performance and safety of our Photonic retro reflective fabric with all the features you demand in a top spec, foul weather ready commuter jacket. With a large rear pocket, plush, fleece-lined adjustable collar, waist and wrists the Lumen8 Hi Viz Commuter Jacket is ready to help you usher in a new age of enlightenment. With a commuter specific cut the Lumen8 offers outrageous functionality and lasting comfort. Buy this if you’re a committed commuter who never shies away from a ride into work. 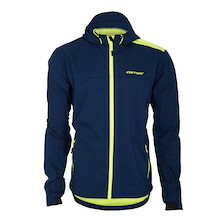 The Atmoshield Jacket is a new take on the tried and tested race cape. The Atmoshield Jacket is made from our unique Showerflex fabric. Offering 3-ways stretch, 100% windproofing and heavy duty showerproof ability the Atmoshield Jacket is perfect for those cooler days and early mornings on the bike. Designed without the weight and bulk of fully taped seams the Atmoshield moulds to your body like a second skin while keeping you dry. Designed for fast riding and maximum comfort the Atmoshield uses new materials technology to deliver outstanding performance. The Atmoshield Gilet uses the same Showerflex fabric and low volume design to deliver incredible performance for riders who want to stay warm by eliminating windchill. If you get caught in a passing shower you’ll be pleased that our Showerflex fabric keeps the rain on the outside so you can concentrate on your riding. The Atmoshield Gilet is perfect for early morning Autumn rides in variable conditions allowing you to stay one step ahead of the weather. 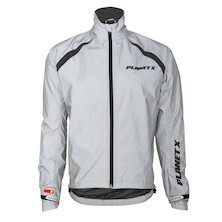 The new Autumn Winter outerwear range from Planet X is simply the best line-up of jackets we’ve ever released. Packed with smart design touches and advanced technical fabrics they offer value for money that we think can’t be beaten.